Dante Law Firm | Millions Recovered. FREE Consultation, (305) 949-2526. Personal Injury Attorney Miramar. Miramar Injury Lawyer. Miramar Personal Injury Lawyer. Miramar Personal Injury Attorney. Accident Lawyer Miramar. Florida Personal Injury Law Firm. Have you been injured in an accident in Miramar? Are you struggling to pay your medical bills after an accident? Is the insurance company giving you the runaround–even though you did not cause the accident? If you or someone you love has been injured in an accident in Miramar, Hallandale, Hollywood, Pembroke Pines, or anywhere in the State of Florida, you need an experienced personal injury lawyer in Miramar on your side. At the Dante Law Firm, P.A., we understand the intricacies associated with personal injury law in Miramar and have successfully represented numerous injured Miramar clients and their families. Contact the Dante Law Firm, P.A. to learn more about all of your legal options. Call us at 1-888-920-HURT or 305-949-2526 today to discuss your personal injury case. The moment you are injured, you need an experienced and aggressive personal injury lawyer in Miramar on your side. Yet how do you know which law firm to choose when you are injured in an accident? With so many lawyers to choose from, it can be difficult to know where to turn for help. After all, who you choose to represent you during this difficult time is an important decision that could have far-reaching consequences. Miramar personal injury lawyer Victor Dante understands the complexities associated with personal injury law and the tricks insurance companies use to low-ball their clients. That’s why he approaches every case with 100% dedication from the very start and works diligently to achieve the maximum compensation for all his clients. He finds the money that insurance companies don’t want you to know about–and he puts this money in your pocket. 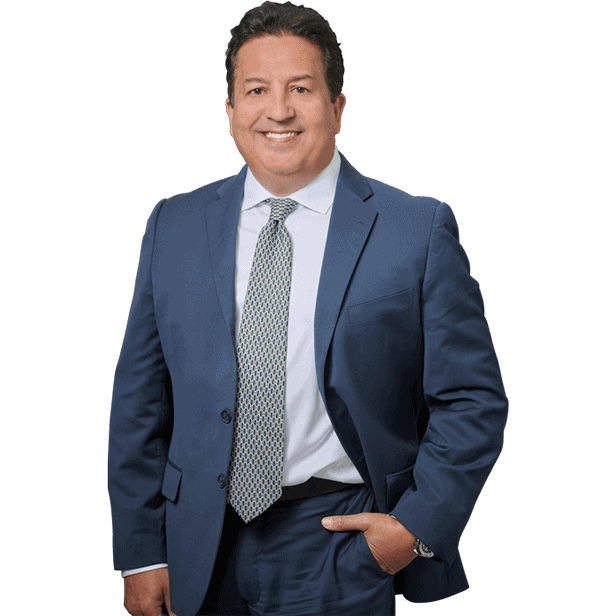 His experience in representing personal injury clients who have been injured in Miramar is unparalleled and is what sets him apart from the rest. He continues to achieve extraordinary results for his clients, often winning complex injury cases worth up to 4-5x what the insurance company originally wanted to pay. He is a member of the Broward County Bar Association. Speak with a Personal Injury Attorney. No Fee If You Don't Win. Injured accident victims are often reluctant to seek legal representation because they are afraid of the costs. That’s why we offer a “no recovery–no fee” promise. You don’t pay a penny until we collect for you. This allows everyone the ability to pursue justice–regardless of his or her financial status. We believe that everyone is entitled to just compensation–not just the wealthy. That’s why we offer all our services on a contingency basis. Call us to learn more about our services, and how we can help you seek justice–without any upfront, out-of-pocket expenses. These accidents often cause catastrophic injuries to all parties involved and cause thousands of dollars in property damage. The severity of these accidents may have something to do with the number of drunk drivers on the road in Miramar. In 2011 alone, drunk drivers caused half of the fatal accidents that occurred in Miramar. From Pembroke Rd and Miramar Parkway to the Florida Turnpike, Miramar accidents occur on an all too frequent basis. These accidents, especially when they are hit and run accidents, often spill over into Pembroke Pines, Hollywood, or West Park.